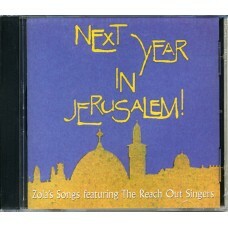 The Reach Out Singers beautifully present Zola’s rhythms of the Holy Land. The arrangements in this very well-received album are unique and especially fresh. Word sheet included. Are Not These Which Speak Galileans? Why are You Looking Among the Dead?